Everything started on November 11th, 2010, when I was sent an e-mail whose object was: “Emergency Christmas Cactus”, from one of the readers of my website. 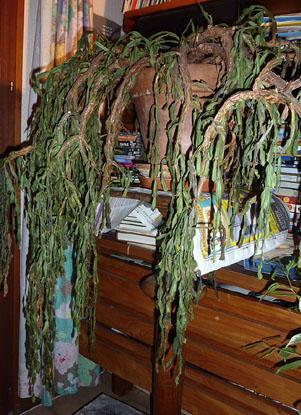 Alain, who had sent the e-mail, explained that he had just got a Christmas cactus which had been neglected for months, in total darkness and without any watering. Alain had found the accurate name of his plant on the Internet ! He asked me what to do in order to save his precious plant, obviously in a poor condition. I immediately answered him to take some photographs of the plant in question to assess the situation. On the very next day Alain sent me some photographs which confirmed that the plant was really in bad shape.